15, 1773, Nova Scotia’s first boatload of Scottish Highlanders—33 families and 25 unmarried men—arrived on the ship Hector; thus began the wave of Scottish migration that has had such an impact on the development of the province. On the Pictou waterfront, visitors will see a full-scale replica of the immigrants’ ship built at the Hector Heritage Quay. 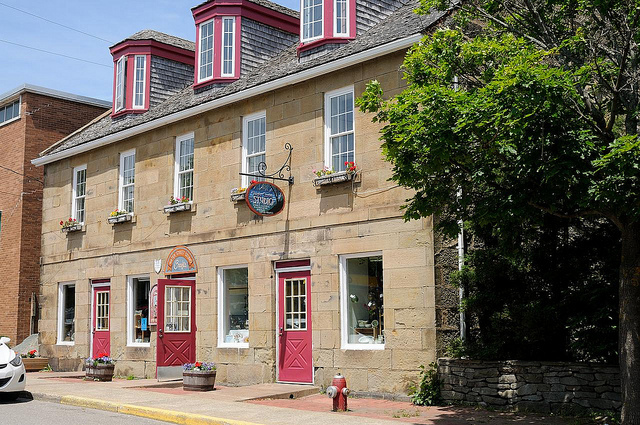 The quay’s colourful displays and costumed guides bring to life the history of the Scottish immigrants, the voyage of the Hector and the early years of pioneer life in Pictou County. Visitors can also tour the restored blacksmith and traditional carpentry shops. The Hector Exhibit and Research Centre features local historical exhibits and is a centre for genealogical research. While in Pictou, visitors can tour Grohmann Knives, makers of the world-famous Russell Belt Knife. Nearby, the deCoste Entertainment Centre hosts a wide variety of events featuring top entertainment, including lively ceilidhs in July and August.